Anguilla is just a tiny limestone knob of an island, but it's got some of the most beautiful beaches in the whole of the Caribbean: superb bright white coral sand which goes on for mile after peaceful mile, lapped gently by an electric blue sea. On these perfect beaches you'll find a number of ramshackle beach bars, and a smaller number of good hotels, which are among the best places to stay on Anguilla. For an island so tiny, Anguilla has an excellent collection of restaurants - across several price brackets. Which is why some compare it to St-Barts. But Anguilla is much more down to earth - a proper Caribbean hideaway island. Anguilla was first colonised by the English, and is still a self governing British Overseas Territory, so has English, rather than French flavours. Anguilla isn't just sand. The sand is fringed by graceful palm trees. And it's not just bright blue waters. Below the surface are some truly stunning reefs.. And if you don't fancy yourself as a diver or snorkeller, you can catch a glimpse of their beauty on a glass bottomed boat trip. Anguilla is probably best suited to travellers looking for somewhere idyllic to relax, but the island's history and its modern fishing and lobster catching industry make for a pretty interesting study. If you hire a bike to explore, you can see a truly wonderful variety of beautiful beaches. Unwind on the beautiful stretches of white sand beach. Explore under the sea on a snorkelling or diving excursion. Hire a bike and cycle around the picturesque island. Head out on a glass-bottom boat and view the brightly coloured tropical fish. The easiest way to get to Anguilla is via St. Maarten, and the majority of our selection of the best places to stay in Anguilla are on the Western edge of the island, a short hop from where the ferry arrives. If you're looking for privacy, CoveCastles are a small collection of villas on a private beach, each with full kitchen and living room and some with a private pool. So it's a much more luxurious and idyllic home-from-home. 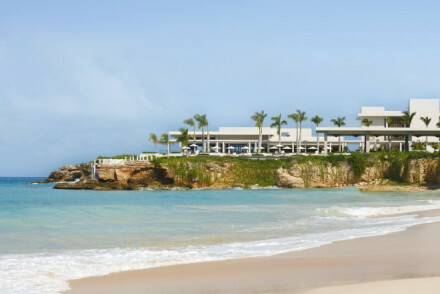 Cap Juluca is a white, Moroccan looking hotel right on the beach. Unique looking inside and out, it offers every luxury. It is a really special place to stay! 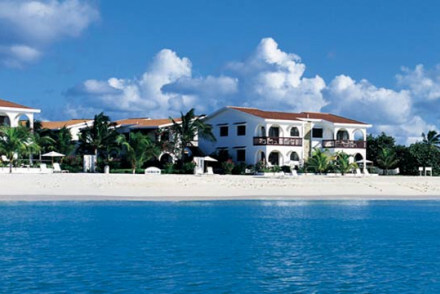 The Frangipani Beach Club is on Meads Bay, one of the Anguilla's most beautiful Atlantic bays. It offers complimentary watersports facilities, so you'd be mad not to try things against this perfect backdrop! Rooms have large terraces and you're right on the beach. 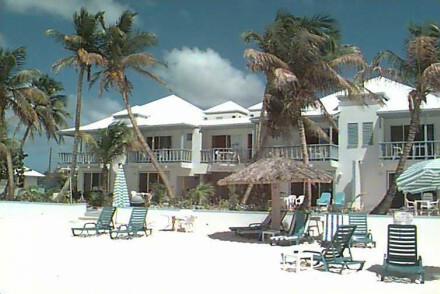 Shoal Bay Villas are a small group of villas with direct access onto a perfect white beach. Each villa has its own kitchen, but there's shared gardens, gym and pool. And you're close to a number of great local restaurants. The CuisinArt Golf Resort & Spa is a stunning, Grecian style hotel with chic rooms and plenty of resort style entertainment. Right on the beach. 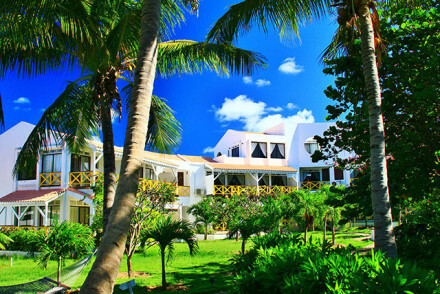 One of the best places to stay in Anguilla if you want a beach break with a bit more action and great food. The Malliouhana is a gorgeous hotel set in 25 acres of gardens. The contemporary rooms have four poster beds, nautical striped furnishings and large balconies. The chic Anacaona is located just five minutes from the beach. The colourful rooms have modern art works, ocean views and pretty bathrooms. Carimar's collection of charming, beachfront villas prove that you don't have to spend a fortune to find one of the best places to stay in Anguilla, with rooms starting from just £142 per night. Family villas have large kitchens and living areas. Expect tropical prints and direct beach access. The Viceroy on Barnes Bay is a much larger and much grander affair: five stars worth of chic furnishings, private pools and watersports facilities. There's also a superb children's program. And excellent West Indian cuisine. 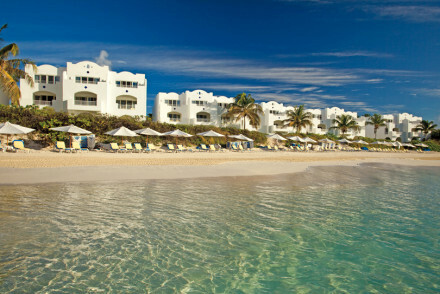 Meads Bay Beach Villas benefit from their secluded location on one of Anguilla's best beaches. Each has its own pool and full kitchen, which the hotel is happy to stock for you. The are no direct flights to Anguilla. One of the easiest ways to get to Anguilla is by flying into St. Maarten’s Princess Juliana Airport (on the Dutch side of the island) and boarding the ferry at Marigot Bay (on the French side of the island). Best time to visit - Anguilla is a year round destination with consistently warm days however there is a rainy season that runs from June to November and of course hurricane season covers the same months. 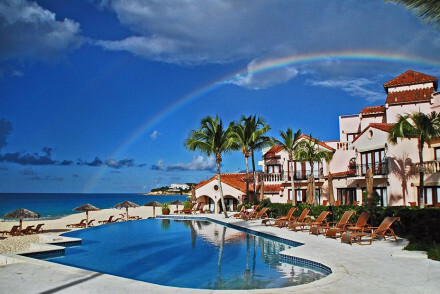 Still not sure which is the best place to stay on Anguilla for you? 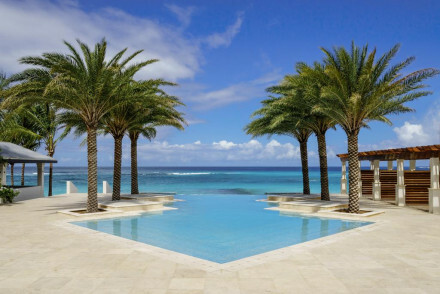 Browse through our list of all the best places to stay on Anguilla. Expand your search to the best places to stay in the Caribbean. Chic hotel just five minutes from beach. Colourful rooms have modern art works, ocean views and pretty bathrooms. Two outdoors pools, spa and lush gardens. Fantastic Eurasian cuisine and friendly bar. Secluded, very relaxed with excellent service. Great value for money. Charming beach front villas. Beach access, tennis courts and gardens. Quiet, family friendly and great value. Low-key villas on the beach. The rooms feature tiled floors, full kitchens and verandahs. Outdoor pool, gardens and gym. Plenty of nearby restaurants and water sports centres. Relaxed, charming and quiet. Excellent value for money. Lively - Located right on the island's liveliest beach. Charming hotel with Atlantic views. The rooms have wooden shutters, mosaic bathrooms and large terraces. Outdoor pool, beach access, tennis courts and spa treatments. Outstanding cuisine in the Straw Hat restaurant - an island favourite. Complimentary watersports and beautiful views. Great value. Stunning Grecian style hotel on the beach. Chic rooms have colourful furnishings, high ceilings and elegant bathrooms. Outdoor pool, excellent spa, tennis courts, golf course, beach access and gym. Superb Mediterranean cuisine, relaxed bar. Family friendly, quiet and excellent service. 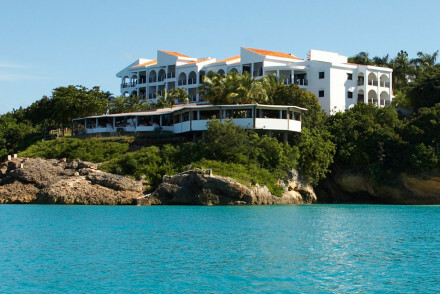 A beautiful resort on the thankfully quiet side of Anguilla. All the bells and whistles you would expect, with the simple style and poise of a chic beach-house. The gorgeous suites offer uninterrupted views of the beach and fresh off the boat (literally) catch takes centre stage in the restaurant. Sensational 5* hotel. Gorgeous, contemporary rooms have four poster beds, sumptuous bathrooms, chic furnishings and some with private pools. Outdoor pools, beach access, tennis, golf, water sports and gardens. Excellent West Indian cuisine, cool bar. Luxurious, slick and stunning. Secluded villas on the beach. 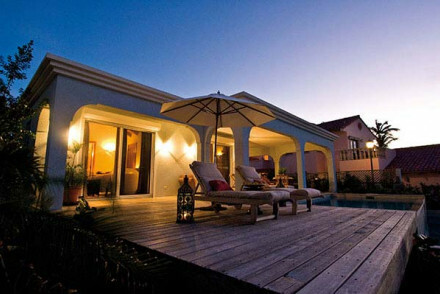 The villas are styled with wooden shutters, mahogany furniture and elegant bathrooms. Each comes with private pool and balcony plus direct beach access. Hotel can provide groceries for the villa kitchens. Ideal for families and couples wanting a quiet atmosphere. Gorgeous hotel in 25 acres of gardens. The contemporary rooms have four poster beds, nautical striped furnishings and large balconies. Outdoor pool, spa, gym and tennis courts. Faultless Mediterranean cuisine, relaxed bar. Luxurious, romantic and very chic. Currently Closed. 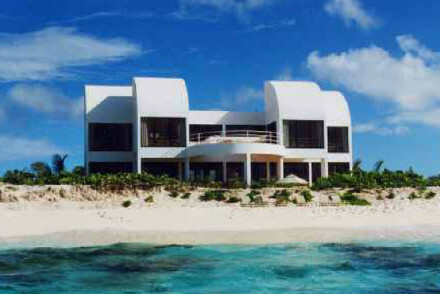 Architecturally striking villas on private beach. The rooms are spacious with high ceilings, modern kitchens, ocean views and some with private pools. Private beach, spa treatments and some complimentary water sports. Secluded, stylish and modernist; perfect for families or groups.